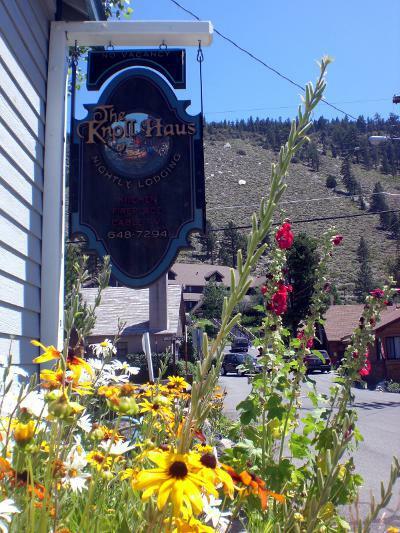 The Knoll Haus cabin in June Lake, Calif. Is owned and operated by long time residents Van and Dawn Gould. With over 40 years of experience here in June Lake and the Eastern Sierra while enjoying all the recreational activities available from hiking, to hunting and fishing, biking, water sports such as stand up paddling, kayaking, windsurfing and kiteboarding, and waterskiing/wakeboarding, and a passion for all winter sports especially downhill skiing and snowboarding and nordic skiing, they are uniquely qualified to point you in the right direction for all activities and events. 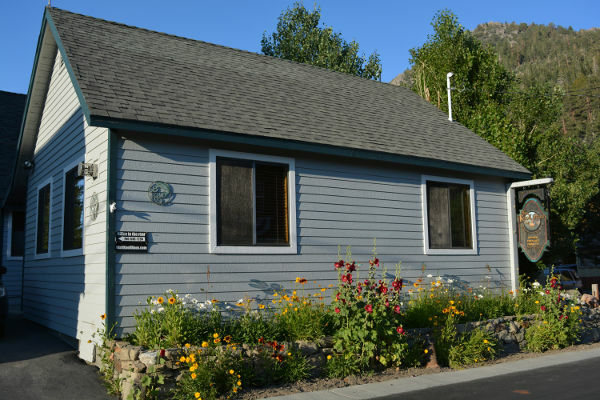 The one bedroom cabin is centrally located in the village of June Lake, and is walking distance to 2 lakes with marinas [June Lake and Gull Lake], and to the downtown section with it’s restaurants, shops, general store, and Post Office. The cabin can accommodate anywhere from 2 people to a family of four comfortably. It comes fully equipped with a standard sized kitchen stocked with all the cooking utensils, full sized stove and refrigerator, microwave, dishwasher, and coffee maker with coffee. It has a queen sized and a twin sized bed in the bedroom, and a shower in the bathroom. The living room features a couch, a love seat, gas fireplace, flatscreen TV with satellite and movie channels and the cabin comes with free wifi. The property has off street parking and your own private patio with gas barbeque. We are also pet friendly! So feel free to bring your pet on approval. We also have a discount for boat rentals at June Lake Marina during fishing season, and offer discounted room rates during the off seasons. A charming one-bedroom vacation rental in the heart of the June Lake Village. Stay with us while you enjoy the wide variety of activities that California's Eastern Sierra has to offer.